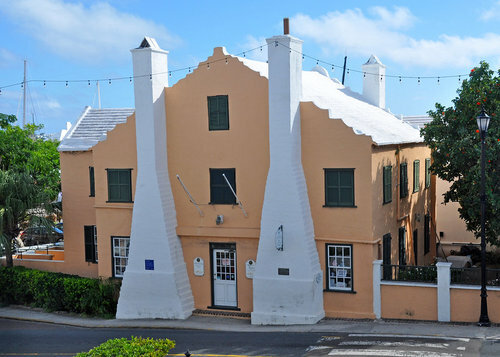 At the north west corner of King Square, St George's Town is the Bermuda National Trust Museum. This 17th century building was constructed by Governor Samuel Day, who arrived from England and built this house in 1699 using government provided land & wood. Even after his tenure of service as a Governor in Bermuda, Samuel Day used his father's political connections as Mayor of Bristol and tried to retain the building as his residence. But he was later imprisoned at Debtors' prison in Castle Island where he finally died. This house once became a hotel "The Globe Hotel" in the mid 19th century, but later it became the office of the Confederate Agent during the US Civil War. 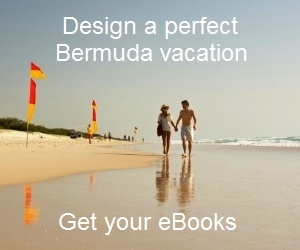 Subsequently it was acquired by Bermuda's Historical Monument Trust and was opened as a museum in 1961. On the ground floor of Bermuda National Trust Museum, there is a detailed model of George Somers ship Sea Venture which was shipwrecked on reefs just offshore from where St George Bermuda is. You will find an amazing replica of a machine commissioned by the congress of the Confederate States that stamped a seal for all their official documents. There is also a short 12-minute video presentation called "Bermuda: Center of the Atlantic" which tells the story of founding and development of the island over the past four centuries. On the first floor, the so called Rogues and Runners Museum presents a detailed exposition of Bermuda's role in America Civil War. Bermuda had many ties with the southern states through both business and family connections. Although Britain officially remained neutral, Bermudians favored the south, wanting to help their friends and make a lot of money in the process. A series of short information boards tell you the different aspects of this time of Bermuda's history. It also documents the true story of the blockade runner - Fannie, which returned from a trip in June 1864 with sick crew members. The Yellow fever they carried soon spread across Bermuda, killing hundreds of people. Many of the individuals who died out of this dreadful disease were cremated in the Royal Naval Cemetery located near the Royal Naval Dockyard. The Trustworthy souvenir shop is located in the building. The museum is owned by Bermuda National Trust. Open Monday to Friday: 11am – 3pm. Saturday: 11am to 2pm. Admission: $5 adults, $2 children, 5 years and under free. A special tour is held on Thursdays (11:45am). There is a combination ticket available for $10 that covers three museums operated by the Trust: Bermuda National Trust Museum, Verdmont Museum, and the Tucker House Museum. Bus routes between Hamilton and St. George: #1, 3, 10, 11. 2) Check out St George Town for many other attractions in the town of St. George. 3) Check out St. George's Parish to know about the parish where the town of St. George is located and all its attractions and activities.